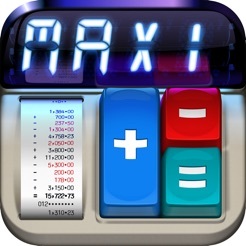 MaxiCalc is like touching a real calculator: response is instantaneous, visuals are crystal sharp and the sounds are truly unique. It simply feels right. 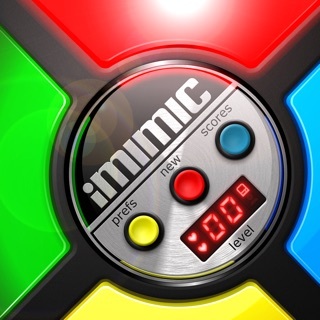 It is as easy as a pocket calculator, but much more powerful: multi memory, multi history paper-tape and big buttons. 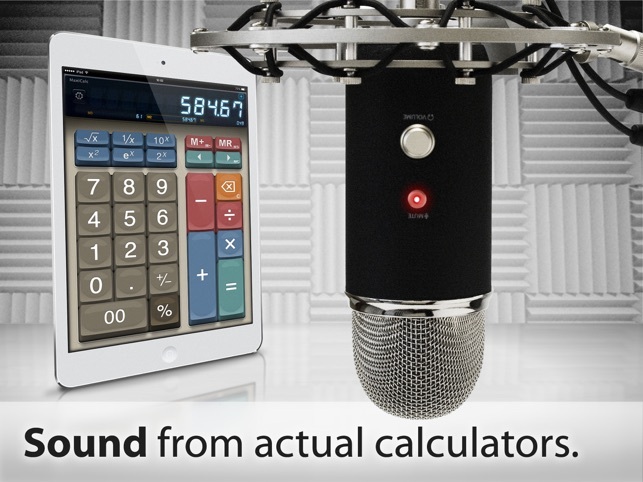 The search for the perfect calculator is over. 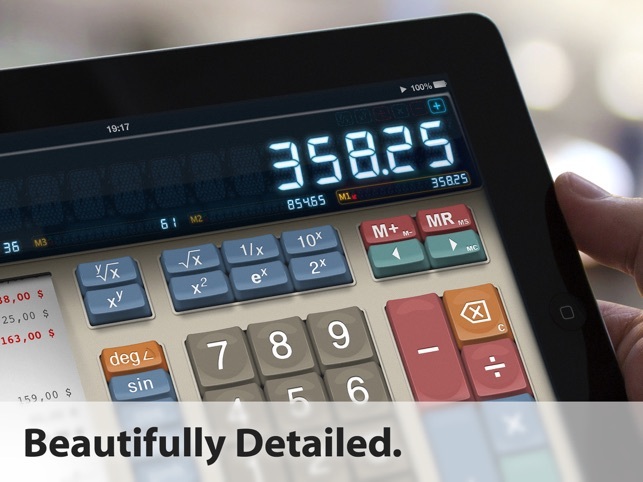 In portrait mode, you have a calculator focused on basic arithmetic operations - with big easy-to-read and impossible-to-miss buttons. 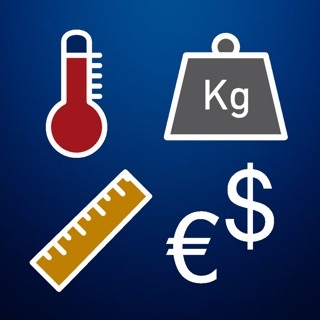 In landscape mode, you have a robust calculator with a comprehensive set of scientific functions and tapes for keeping track of your work - everything in one single screen. 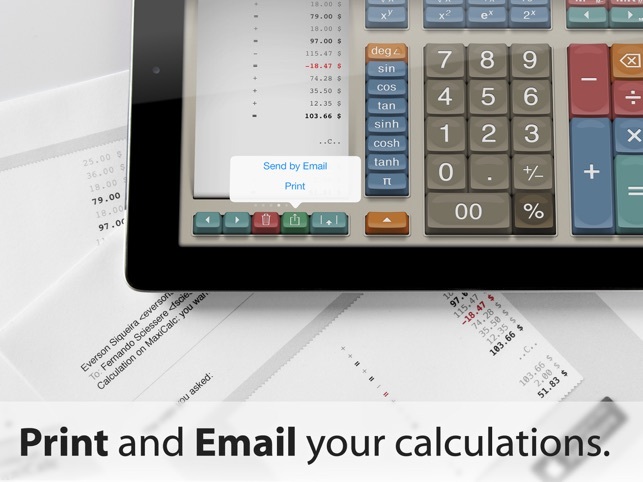 Also, you can print your calculations with AirPrint technology or email them to friends or colleagues. Use of memory is dead simple too - always see what you have stored on the memory slots, and for using one value, just tap on it. 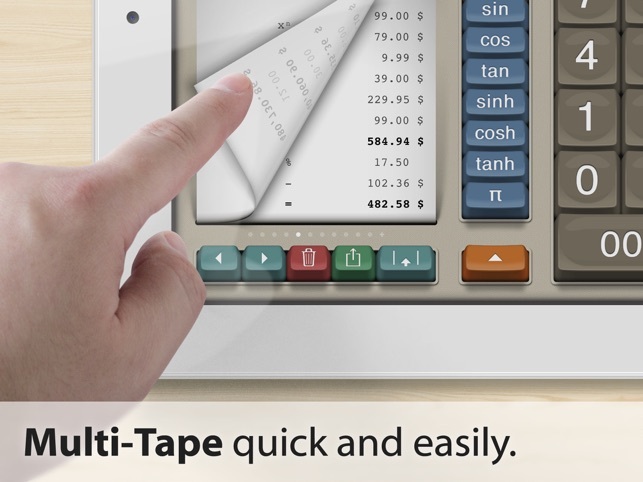 • Never lose track of what you've entered using multiple tapes. We appreciate your care by reporting any bug, sending suggestions or requesting features. Please: write a review after updating - even if you already did in the past. It really helps us! 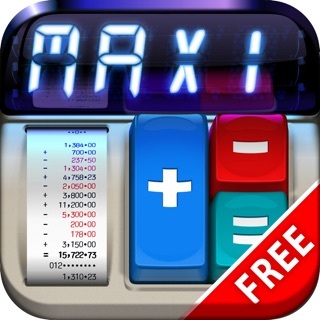 After purchasing a few calculators, in search of the perfect one, I found MaxiCalc. If I had found this earlier I wouldn't have bought/downloaded the others. My search has ended as this is the best calculator I've ever seen. There is nothing, here, not to like. I love the big buttons, the paper tape (which you can print or email, the sounds and all of the other features which give this the look and feel of those good old calculators that I really liked. 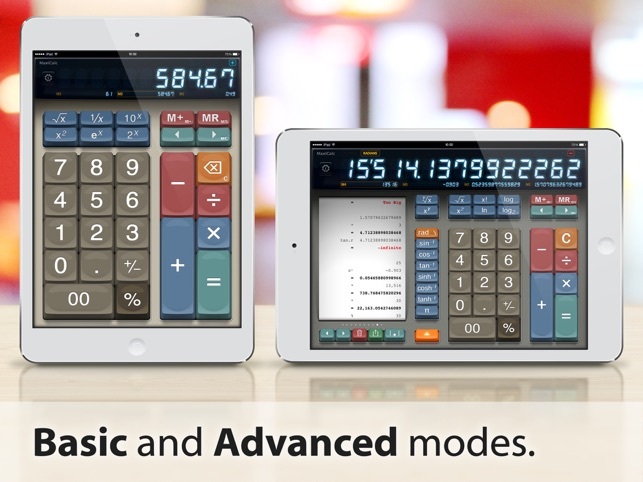 Without question no calculator in the App Store comes close. From the authentic sound to the ability to email the tape to a client, to the big buttons, to the ability to store multiple tapes for future comparison to the ability to AirPrint the tape immediately to a customer - I couldn't be happier! I have recommended it to multiple sales people as well as contractors to make their jobs more efficient. Get it, you won't be sorry!! I started in the computer business in 1968 with a company called Burroughs. I spent the first year selling adding machines and calculators. To say I know all the prows and cons about calculators is an understatement. 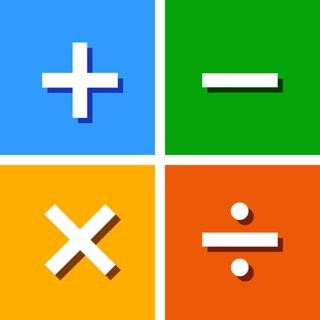 In my opinion, this is the best calculator I have tried! It has sound for your keystrokes, direct access to memory, direct calculations from each function key, multiple memories and the keys are arranged for easy use. Thank you for creating. I love it!